When I think about our visit to Blackwell's Bookshop in Oxford, an old song from the 1968 musical Oliver! comes to mind. But instead of 'food, glorious food', I hum 'books, glorious books'. 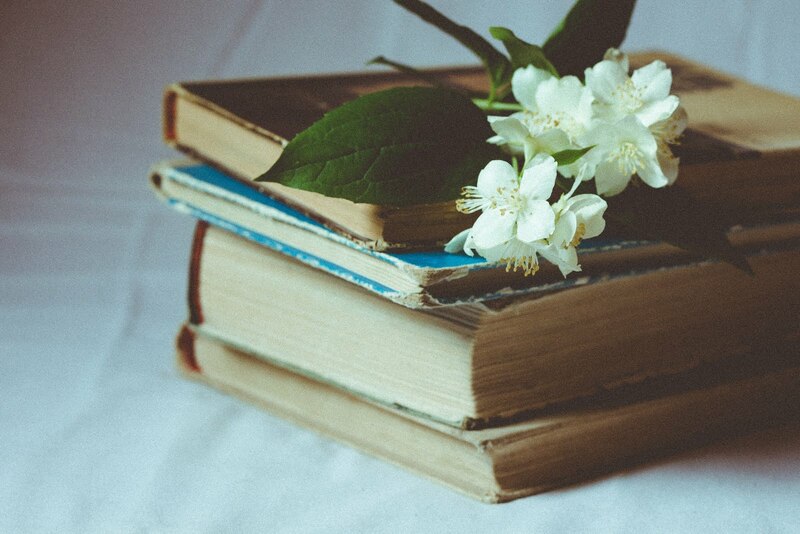 For, Blackwell's is not just any book store, it's a book lover's paradise. Carrie, our beautiful B&B hostess, calls it the most dangerous bookstore in the world. I think she's right. A person could easily disappear down the rabbit hole and be lost forever among the book shelves ... unless, of course, a discerning husband has a firm grip on a coat sleeve to ensure her safe return. 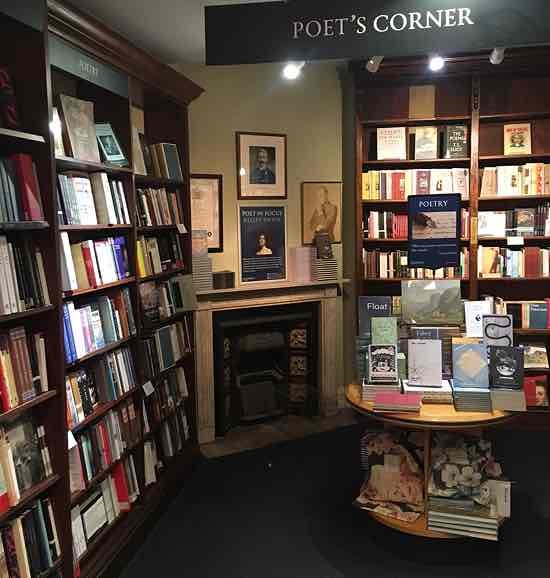 The shop doesn't appear large from the outside, but step up into one of the two entrances and you'll discover what someone describes as 'an Aladdin's Cave filled to the brim with books on every subject'. 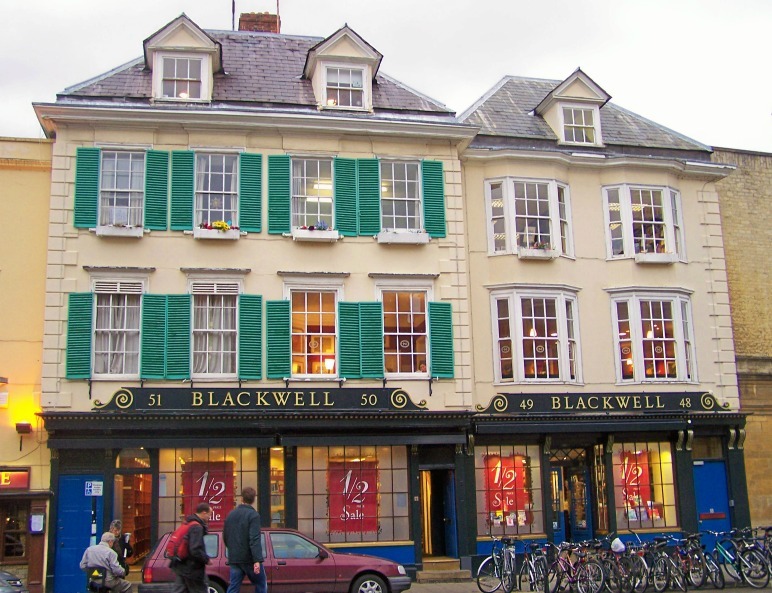 The flagship shop, founded in 1879 in Oxford, was originally twelve feet square; now it includes several floors, including the massive underground Norrington Room. Take a virtual tour of the shop and you will have a good idea of what to expect. I spent most of my time on the first floor. Note: if you live on this side of the pond, you might need to upload the UK adobe flash. A whole day week should be spent in that wonderful shop (there's a lovely cafe if you need refuelling), for there are many nooks and crannies on several floors to while away an hour here, two or three hours there. The too-short time we spent there was pure pleasure, with staff at the ready to show us around. We soaked up the ambience and drank in the smell of books. We paused to read interesting quotes scrolled across walls, and peered at strategically placed photographs of well-known personages who once shopped there -- reminding us that fellow book lovers are always in fine company. Now that you know a little about the shop, you're probably wondering what I bought while I was there. Clutching a growing stack of books, three bagfuls later, my suitcase back at the B&B suddenly weighed a dangerous amount. This shop truly is a book lover's haven; I would have to get a job if I lived in this city. On that somewhat bewildering first day we arrived in Oxford, Rick and I walked through the streets to orientate ourselves. That's when I first caught sight of a book perched in a shop window that I just knew I had to have. Into the shop we went and headed straight to the display of Oxford Sketchbook. Paging through a sample copy, I knew my first instinct was correct -- I was smitten. Two copies purchased then and there, one for myself and one for a birthday gift. Our first shopping experience in Oxford and it was in Blackwell's; we'd go back for a proper visit a few days later. Since coming home, I ordered two copies more through amazon.ca. 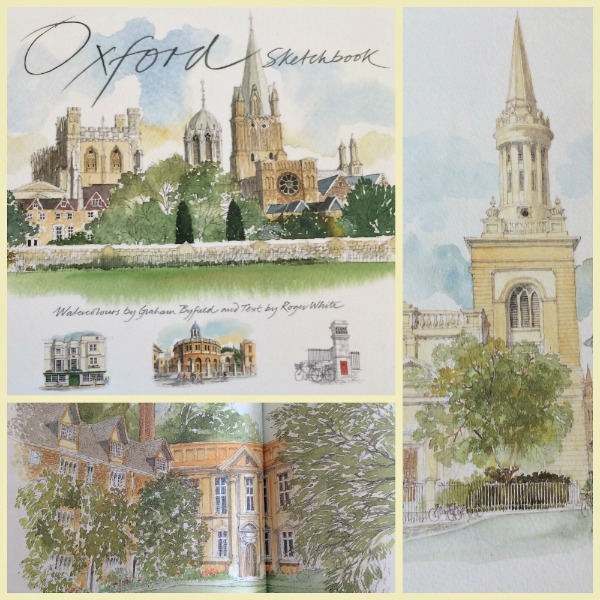 Accompanying the paintings and sketches are observations and notes handwritten by the artist, as well as a learned and lively introduction to Oxford, its history and buildings by the noted architectural historian Roger White." 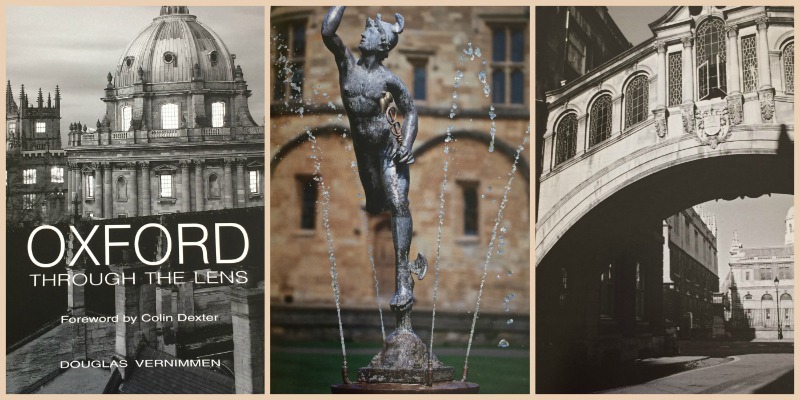 Oxford Through the Lens is a wonderful collection of Oxford's architectural, historical, and cultural impressions through photography. According to the inside cover, the book also reflects Douglas Vernimmen's feelings about the city. He worked as a scientist at Oxford in the 2000's which allowed him to view the University 'from the inside'. An award-winning photographer, Vernimmen says, "My wish would be to go back in time with my camera: people would undoubtedly look different, but the buildings would probably look much as they do today." "The gardens of Oxford's colleges are surprisingly varied in style, age and size, ranging from the 16th-century Mount in the middle of New College to the impressive modernist design which is St Catherine's. ... Founded in 1621, the Oxford University Botanic Garden is the oldest in Britain, and holds one of the most diverse plant collections in the world. ... 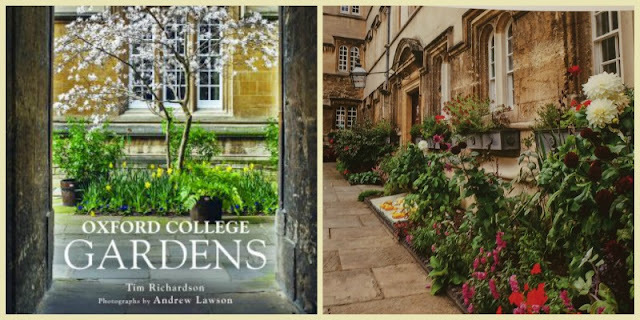 In this book Tim Richardson's elegant, authoritative analysis combines with Andrew Lawson's glorious photographs to reveal the diversity and discreet charm of Oxford's college gardens." Yes, this book is laden with charm and beauty -- every page filled with stunning photos of Oxford's college gardens. We had the opportunity to enjoy some of these gardens in person, including the Botanic Garden. Because the colleges were between terms while we were there, visitors could gain entrance, and walk at leisure through the grounds and some of the college buildings. The wisteria was just coming into blossom at Magdalen College, and there were plantings of tulips and other spring perennials everywhere. The book really is 'sightseeing in an armchair' -- I'd say almost as good as being there, well, not quite, but you know... if you can't get there in person, the book is a lovely substitute. A beautiful memento of our beautiful holiday. Ammonites & Leaping Fish by Penelope Lively. As I stood in front of the shop's biographical memoir section, one of my go-to spots these days, this title intrigued me. 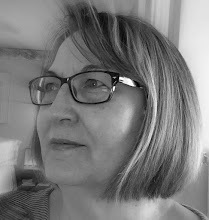 An ammonite fossil and a 12th century sherd of a leaping fish are two of the six treasured possessions which Ms Lively uses as prompts to write her fragments of memories. At eighty, she looks over her life and 'reports back what she finds ... what it is like to be old as well as on how memory shapes us'. Two Josephine Tey detective mysteries: The Man in the Queue and A Shilling for Candles. Shortly before we went to Oxford, I found a new to me mid-twentieth century British mystery writer at the library. I so enjoyed reading The Singing Sands (you can read about it here) I went in search for more. When I saw the nice selection of her books at Blackwell's, I hemmed and hawed about whether to get the complete set of six in the series, and to heck with the luggage weight fees at the airport, or just choose a couple. You can see, I opted for the couple. Perhaps I was remembering those heavy coffee table books already packed in my suitcase. 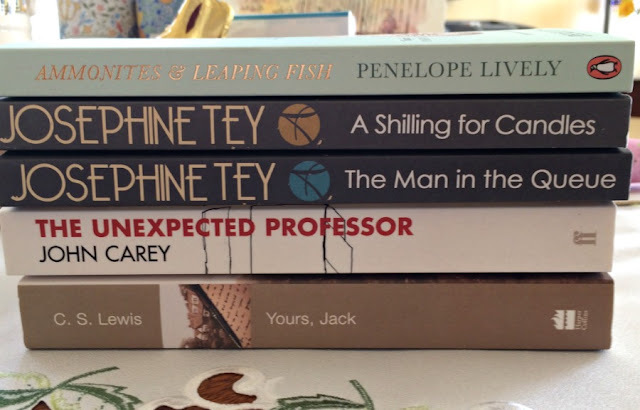 The Unexpected Professor: An Oxford Life in Books by John Carey. The author has been a part of Oxford University since the 1950's, now an Emeritus Professor. He shares his stories about the books that 'formed the backbone of his life'. I am always interested to see how other people write memoir, and I'm especially eager to see how Prof. Carey uses books as a central theme. I look forward to getting into it soon. Yours, Jack: The Inspirational Letters of C.S. Lewis. Who can come to Oxford and not buy something by one of its great writers. It was because of C.S. Lewis and his influence on my life through his writings that I longed for years to visit. Although I have read and already own many of his books, I just knew there had to be something of his that would make a lovely memento of my Oxford visit. Brought the book home to our room and began reading it that evening. I soon realized I'd made the right choice for more than one reason: the snoopy person in me enjoys reading over the shoulders of others to see how they live their lives. I enjoy his candour, humour, and wisdom from the two other letter collections I have of his; I was sure I'd love this one too. Another reason, which I'm finding completely satisfying, is that in his letters Lewis often references various spots while he lived in Oxford, and for the first time ever, I am reading something that feels familiar, I recognize it. I can say, Oh, I was there, I saw that. Now I have a clearer picture in my mind to what he is referring. It makes this reader feel closer to the author. *The other two collections I have are: Letters to an American Lady, 1971, and Prayer: Letters to Malcolm, 1964. It is a wonderful shop, and one could indeed spend days inside and never get bored! Your choice of books is so interesting. I feel like I've had a mini-visit to Blackwell's. Thank you for sharing your treasures with us. That is a delightful read. Though I have never visited Blackwell's, I have certainly been charmed by some lovely bookstores in my life. I am also charmed by the storefront and the oddly sized shutters over two of the windows, though they would seem to require the same sized shutters as the remainder. Looking at it even more closely, I see other oddities. How fun, I was in Oxford in the 1980s early but didn't have time to explore just on a bus tour, would love to return...thanks for sharing. 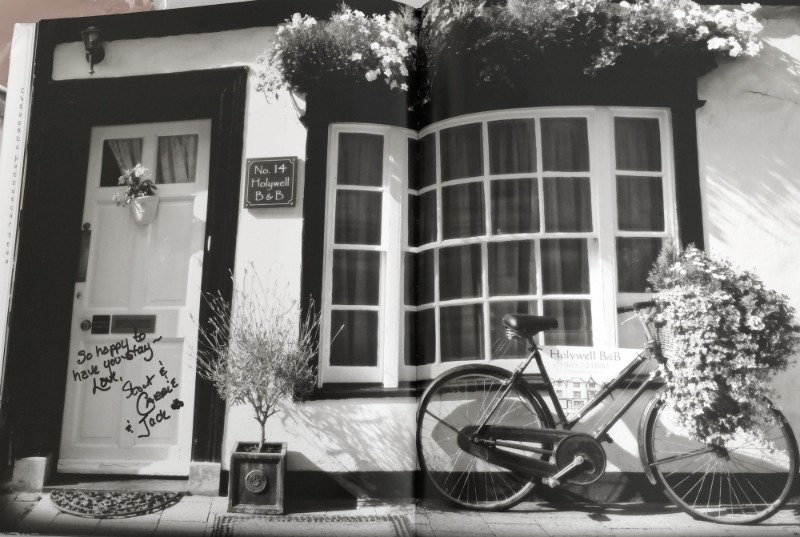 Your books are wonderful mementos of your amazing trip! Margie, no extra fees. Rick's suitcase was much lighter than mine, and we shitted things around. it was all good. Oops, there was a typo there ... that was supposed to say we shifted things around. Dear Brenda: You have just described paradise. I walked with you as you described Blackwell's. Oh my, I can smell the books and hear the chatter among all the marvelously talented souls who gave their heart to their passion of writing. What a memory you have to cherish. Your enthusiasm of Oxford is very contagious! If I ever go, two things. First, I must stay at Holywell Bed and Breakfast and meet, the now famous, Jack! Secondly, to spend as much time as it takes to explore Blackwell! Loved you trip (even better then Susan's). Amazing place Brenda - one that I would certainly wish to see. Nothing like a bookstore and this one especially. So glad you shared this lovely spot friend. 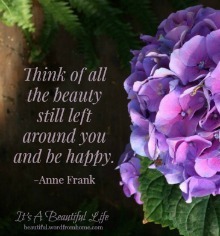 Hope you are having a delightful week. Hugs! Such a lovely post Brenda! In the eight years working on the OED, I never made it to Oxford. I'm ready to plan my trip after reading about your and Rick's experience. I've been keeping this post in my feed for a time when I could really enjoy it, for I knew it would be lovely. Alas, I did not anticipate that it would also be dangerous. More books to add to my list, and all of them delightful-sounding. Bookstores are wonderful places in which to spend an hour or a day lost in the printed and illustrated page. Thank you for this most satisfying post. Sigh. Yes, for we book lovers, the Blackwell's Bookshop does sound dangerous! And such a charming building it is too. Sounds like you and your hubby had a splendid time visiting that part of England. My British uncle just went home to be with the Lord and I will miss his many stories of growing up in England. Thank you for sharing your delightfully written post. You have this way of hitting on so many of my favorite things in one post. 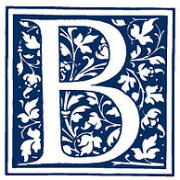 I've enjoyed this visit to Blackwell and the whole Oxford series very much. Where are we going next?